Meet the brave, courageous, brilliant and smart eight years old youngster, KOWAN SMITH BRIGHT, simply known as "KOWAN" on stage. The star, who is set to release his first official Video on the 28th of November this year, is from from Mankom, in the North West Region of Cameroon. This Son of the Soil schools at Joan Of Arc Nursery and Primary school and already has "The Youngest Talent Of The Era " award under his belt, after a sensational stage performance at AZAM HOTEL BAMENDA alongside his hype man #Little Finyor . : #237Showbiz. We see this youngster shutting the mouth of many up coming artists and handicapping other competitors, as he looks forward to grabbing the trophy at the kallas competition. And maybe he'd do his first Collabo with an " A" Class artiste who bagged home the AFRIMA Award 2018, some days back...... call her Miss Caller #Daphne. His team, the THE KIDS HALL OF TALENTS FOUNDATION are strongly giving him the support he needs as he is set to is make them proud. I will say from the look of things, KOWAN has the admiration of the great @Jovi a.k.a Mboko God who stands as one of the foundations of mboko and rap in the music industry as KOWAN doesn't fail to call him in all his songs. Could it be he wants a collabo with #Jovi ?? Time will tell. Not leaving ASKIA a.k.a #MamiBakala and Stanley behind. 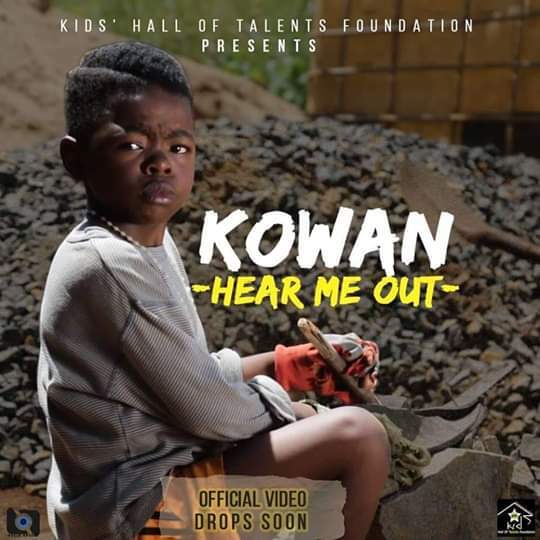 "Small Boy With Big God" says KOWAN, as we wait for his HEAR ME OUT video. Anticipate leave your comments, thanks.